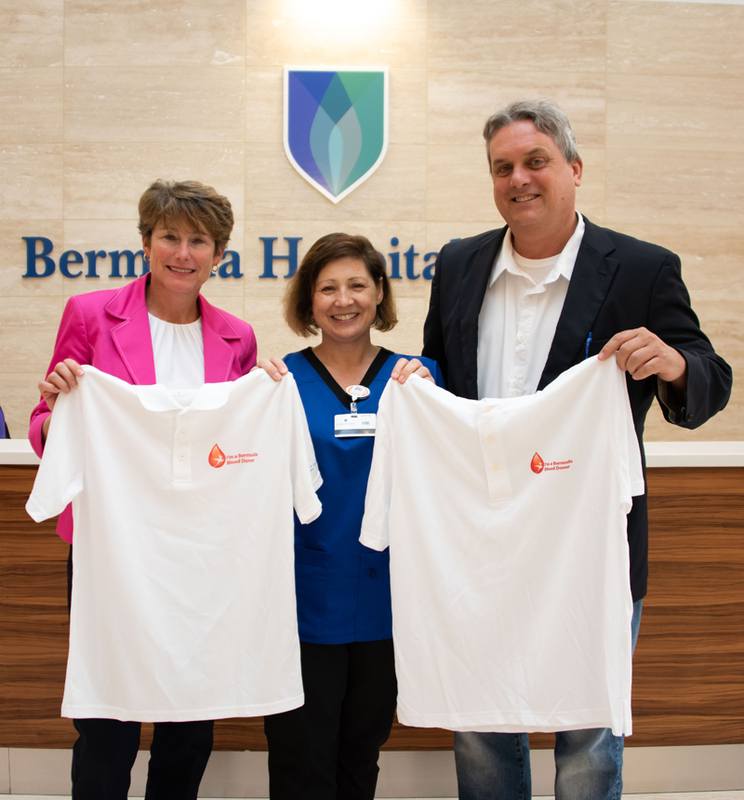 The Bermuda Blood Donor Centre is today [Dec 5] thanking two donors, Mr Peter Barrett and Chubb, who have provided funding for polo shirts that are being awarded to long term blood and apheresis donors who have donated throughout this year. Peter Barrett first made a donation for the Blood Donor Centre to purchase shirts for people who donated over a 3 month period if they were long term donors. To make this a more ‘regular thank you’ throughout 2018, Chubb stepped in to fund the rest of the year’s supply of the shirts. Chubb is also a competitor in the Corporate Blood Donor Competition 2018/19. Dr Eyitayo Fakunle, Consultant Haematologist, comments: “Our blood donation is entirely voluntary, in line with World Health Organisation best practices. These shirts show our gratitude for people who have donated regularly this year, supported by Mr Barrett and Chubb. Mr Barrett comments: “It was a pleasure to work with the Blood Donor Centre to initiate this programme. We should all be very grateful that Chubb has stepped forward to keep this programme going.